The National Foundation for Cancer Research (NFCR) today announced that Michael N. Hall, Ph.D., Professor of Biochemistry, Biozentrum of the University of Basel, Switzerland, has been selected as the winner of the 2017 Szent-Györgyi Prize for Progress in Cancer Research. In 1991, Hall discovered one of the most important cancer cell targets in the modern era of oncology, which he named “Target of Rapamycin” or TOR. He discovered that TOR – a conserved protein kinase – controls cell growth and a wide range of metabolic processes that when dysregulated cause disorders such as cancers, cardiovascular disease, diabetes and obesity. TOR inhibitors are used today in treatments for kidney, breast, brain and pancreatic cancers, and numerous clinical trials are currently underway testing TOR inhibitors in the treatments of many types of cancer. Michael N. Hall will be honored at a ceremony on May 1, 2017 at the National Press Club in Washington, D.C.
About Michael N. Hall, Ph.D.
Michael N. Hall was born in 1953 in Puerto Rico and grew up in South America. He received his Ph.D. from Harvard University and was a post-doctoral fellow at the Pasteur Institute and the University of California, San Francisco. He joined the Biozentrum of the University of Basel in 1987 where he is currently a Professor. Hall is a pioneer in the fields of TOR signaling and cell growth control. In addition to discovering TOR, he demonstrated that TOR forms two functionally distinct complexes in yeast and humans: TORC1 acts as an essential sensor of nutrients (specifically amino acids) and with TORC2 plays a central role in controlling cell growth and metabolism. Hall’s research shows that cell growth is not a spontaneous process that just happens when building blocks (nutrients) are available, but rather a highly regulated, plastic process controlled by TOR-dependent signaling pathways. As a central controller of cell growth and metabolism, TOR plays a key role in development and aging. 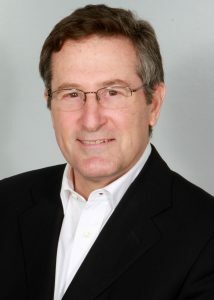 Hall is a member of the U.S. National Academy of Sciences and has received numerous awards, including the Cloëtta Prize for Biomedical Research (2003), the Louis-Jeantet Prize for Medicine (2009), the Marcel Benoist Prize for Sciences or Humanities (2012), the Breakthrough Prize in Life Sciences (2014) and the Canada Gairdner International Award for Biomedical Research (2015). The Szent-Györgyi Prize for Progress in Cancer Research was established by the National Foundation for Cancer Research in 2006 in honor of its co-founder, Albert Szent-Györgyi, M.D., Ph.D., who received the 1937 Nobel Prize for his study of vitamin C and cell respiration. The annual prize honors scientists who have made an original discovery or breakthrough in scientific understanding that has had a lasting impact on the cancer field and a direct impact of saving people’s lives. Moreover, the award serves to highlight the essential role basic research plays in understanding cancer. General Secretary Yi Michael Wang, M.D., Ph.D., MBA, NFCR. The National Foundation for Cancer Research is a charity dedicated to funding innovative cancer research and public education relating to cancer prevention, earlier diagnosis, better treatments and, ultimately, cures for cancer. NFCR promotes and facilitates collaboration among scientists to accelerate the pace of discovery from bench to bedside. Since 1973, NFCR has provided nearly $340 million in direct support of discovery-oriented cancer research focused on understanding how and why cells become cancerous, and on public education relating to cancer prevention, detection and treatment. NFCR scientists are discovering cancer’s molecular mysteries and translating these discoveries into therapies that hold the hope for curing cancer. NFCR is about Research for a Cure—cures for all types of cancer.